Have you been considering buying a car? If this is your first time purchasing a vehicle, there are several questions that you should be asking before you make the big decision. Because we know how complicated this process can be, McKinney Mazda wants you to be as equipped as possible with all of the information that you need. 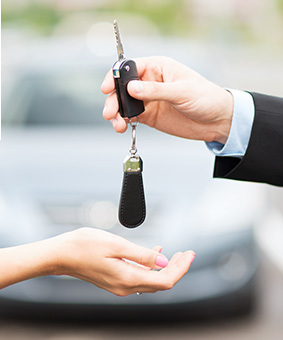 Below, you will find what you need to take into consideration before purchasing a new car. In order to find the perfect vehicle for you, you should begin by selecting the type of vehicle that best suits your lifestyle; convertible, minivan, sedan, coupe, compact car, etc. Once you've settled on the type of vehicle you want, make a list of what's important to you. Research various models and makes that give you all the amenities and features that you want. 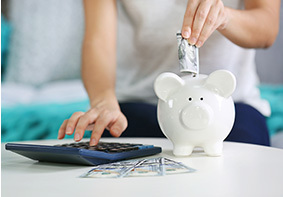 Creating a budget can be the hardest part. You may have found the vehicle that fits you perfectly, but finding one that you can afford can be difficult. When purchasing a new vehicle, it's best to put about 20 percent down, limit the term to no more than 60 months and keep your monthly payment below 10 percent of your income. Plus, you'll want to make sure you consider the cost of maintenance. Some cars cost more than others. Negative equity can be a burden. The balance of your old loan may be consolidated into the new car's loan amount, meaning you could be paying the debt of two cars in one, big loan. Get ahead by researching what your trade may be worth. Take your time with the test-drive to make sure you actually enjoy the car instead of just enjoying the feeling of a new car. Ask questions, play with the various features and look around the vehicle. Make sure the car has enough space for everything you need. Interested in purchasing or leasing a new vehicle? Come visit us at McKinney Mazda in Easley, SC, at 4544 Calhoun Memorial Highway, Easley, SC 29640. We look forward to serving our customers from Greenville, Spartanburg and Anderson!